Two more books have released! 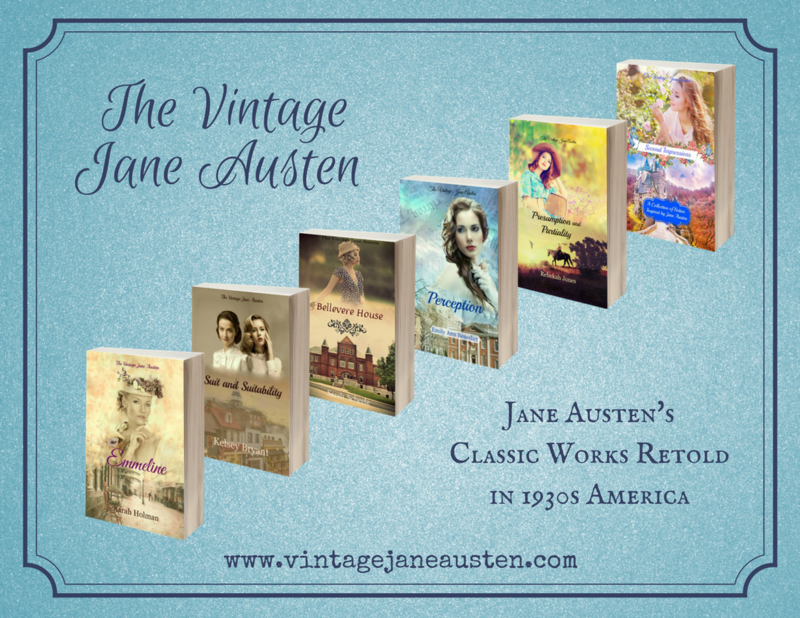 We’re excited to present to you the latest additions to the Vintage Jane Austen series . 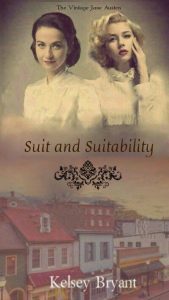 . .
Suit and Suitability, the second novel in the Vintage Jane Austen series, released today! 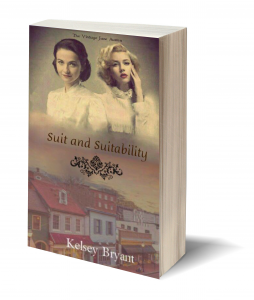 A retelling of Jane Austen’s Sense and Sensibility, by Texan author Kelsey Bryant, the book is available in e-book format (paperback coming soon!) and you can find out more about it below. The Second Impressions short story collection, edited by Hannah Scheele, with stories in different settings from a passel of talented authors, is now available in e-book and paperback format! 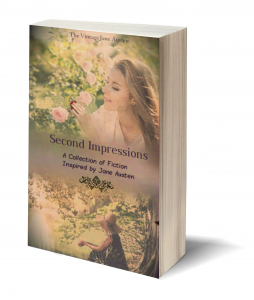 Hope you enjoy the latest Vintage Jane Austen books! There will be more information coming as the rest of the books release. Thanks for reading!